The Young Female Residency Award: entrepreneurship and arts! Enhancing the energy between entrepreneurship and the arts! There are many amazing cultural hubs and art spaces in Johannesburg, but the trendy Victoria Yards in Lorentzville, East of Johannesburg, and its story is an entirely different one. It is a unique new space for viewing and experiencing art which offers an alternative to what one would usually come to expect. The regeneration of this derelict warehouse space into a magnificent ecosystem is as much a commercial enterprise as it is about creating social development opportunities. 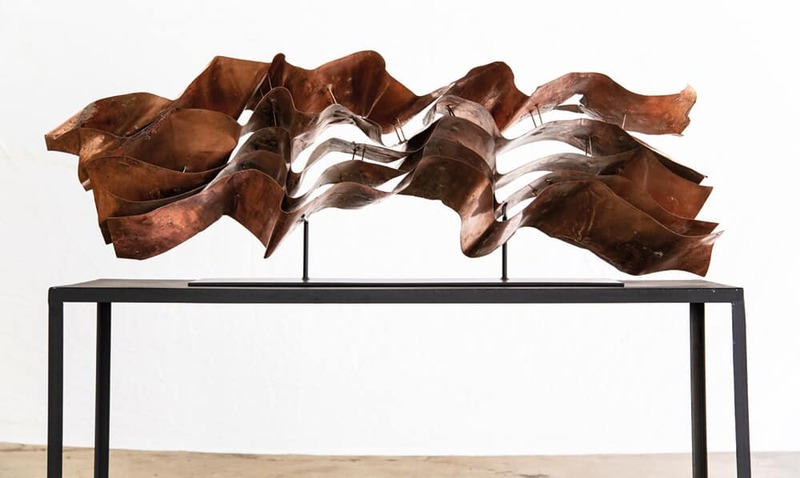 Chrisel van der Merwe, Tectonic Plate, 2018. Courtesy of the artist & The Project Space. Nestled within its many facets, is The Project Space – a non-profit cultural institution founded by Ugandan born visual artist Benon Lutaaya in 2016 – a platform centred on developing creative spaces and offering opportunities to emerging female contemporary African artists, and young entrepreneurs. 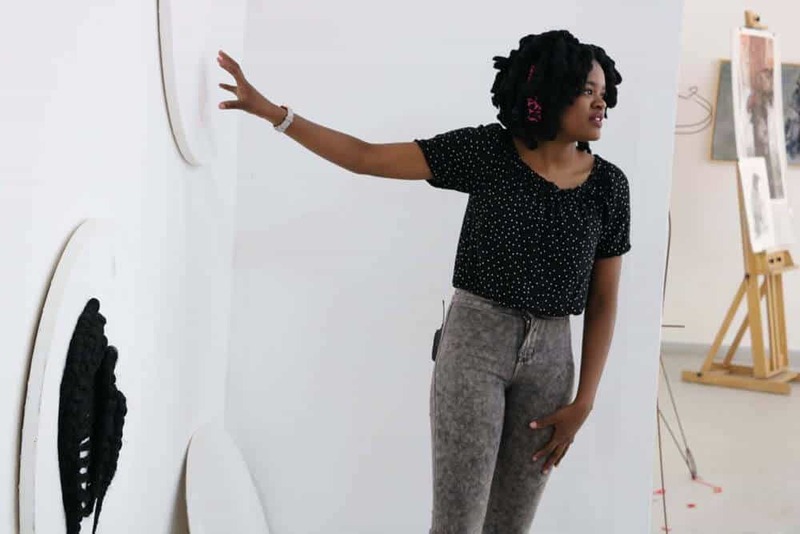 Through its annual Young Female Residency Award, The Project Space offers 9-12 months sponsored female residencies to a local or international artist – to build their levels of exposure and help grow their international professional networks. The work they create during the course of these lengthy residencies is exhibited at all the major local, and some selected international art Fairs. This approach exposes their work directly to potential collectors, media, curators, and established galleries. This has been made possible due to the creativity, and selfless commitment of Benon Lutaaya, who sponsors The Project Space’s initiatives. As an open plan Creative Space by design, The Project Space is intent on developing a creative community. An inspiring space that is perfect for peer to peer engagement, and knowledge sharing. 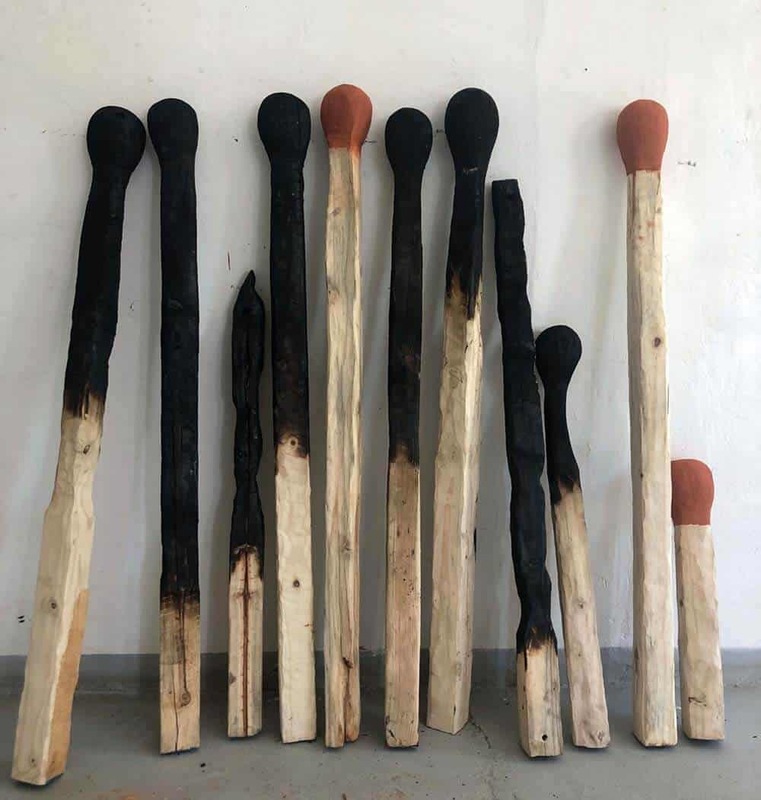 Residency artists; Alka Dass, Lebohang Motaung, Asemahle Ntlonti, Chrisel van der Merwe & Ana Pather have all shared how their existing practice was challenged during their time spent at The Project Space and commented on how their residencies there was a critical junction in their artistic careers. They also added that although they worked at the residency as individual artists there was a great spirit of community and the studio had game-changing energy. Lebohang Motaung explaining her work during a studio visit. Courtesy of The Project Space. Benon’s comments underline the fact that many nonprofit, arts and culture organisations simply lack the creativity and skills required to navigate the current political and economic times – a problem The Project Space seems to be on top of with its innovative approach and support of its creative and founding benefactor, Benon Lutaaya. Asemahle Ntlonti, Sikhalela ngaphakathi, 2019. Installation view. Courtesy of the artist & The Project Space. Artists that are passionate about their creative career and willing to go the extra mile to success, are a naturally good fit for The Project Space. Watch out for their 2019 open calls! http://artafricamagazine.org/wp-content/uploads/2019/02/Lebo-Studio.jpg 667 1000 douw http://artafricamagazine.org/wp-content/uploads/2018/02/ART-AFRICA-LOGO-300x62.png douw2019-02-13 12:31:002019-02-26 08:12:56The Young Female Residency Award: entrepreneurship and arts!